I do not necessarily envy Canon's decision here. Like you said leaving EF behind would be crazy as that is one of their main competitive advantages. Part of the draw though for mirrorless for some is losing that mirror box and ultimately slimming down body size, which the native EF lenses may not allow to happen as much. It will be interesting to see how this goes! Honestly though I don’t see the appeal of a smaller less comfortable to hold camera. Sony with the A7RIII had to end up making a bigger camera because of issues like ergonomics, overheating and battery life. I’d personally ask for an even bigger camera with a larger grip. Lighter is good, smaller isn’t necessarily. If you do location shooting, smaller is definitely better. If you fly for work, being able to get lights and camera plus lenses in carry on is gold. Yes but that's very niche in all fairness. Travel photography is not "niche". Nor is having a camera small enough to carry every day or on social occasions. 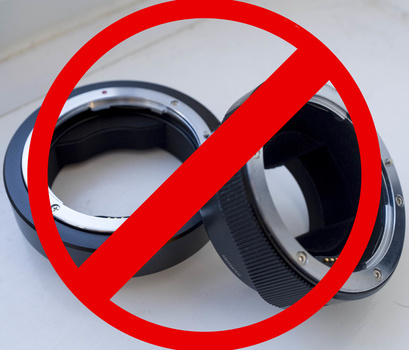 This is one of reasons Fuji sold so many X100's to people who already have full-frame systems. Canon have small primes too that's not unique to mirrorless. This is not a discussion about casual shooting. Canon already have their mirrorless systems for that market. This is for the high-end pro level cameras. Small primes don't perform as well as many of the bigger primes. Also which brand of lenses get adapted the most, it's Canon. >> Canon have small primes too that's not unique to mirrorless. Again, it's obvious that you don't know anything about optical design. 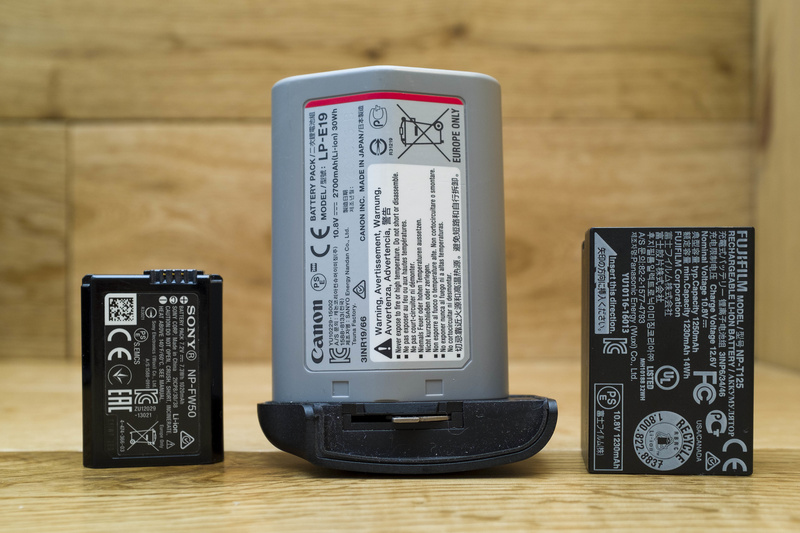 Canon's "small" primes have to use designs that don't require an element close to the sensor, which means that they have to accept other trade-offs - lower aperture and lower optical performance. If you compare the Canon 40mm to the tiny lenses on high-end film compacts like the Contax T2, they kick the hell out of the thing - they shoot like Canon's best L glass or better. Or try comparing the Ricoh GR lens to the Canon equivalent "small" prime. Look up the weight and size difference? Again you demonstrate your lack of knowledge and thought. WHICH Sony 50mm f1.4??? ...The SAL50F14 weighs 220g and the Canon weighs 600g. The Sony actually has substantially better image quality and costs about 1/3 what the Canon does. I suspect you were thinking of the Sony 50mm f1.4 Planar - but that lens is in the same quality range as an Otus. (In fact in the lensrentals tests it outscored the Otus 55mm.) And trust me, it's a lot lighter than an Otus. And half the cost. Because it doesn't have to work around a mirror box. SAL50F14 is an A mount lens why would you even bring that up?? Nonsense point, typical diversion tactics. 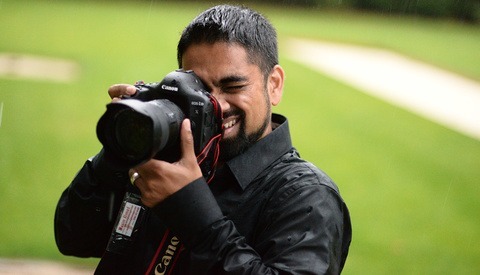 The Canon 50mm is a very good performer and has a wider aperture too. You talked about lower aperture as a trade-off and I provide an example of how your point isn't necessarily true. Also let's get one thing straight, at no point in my article do I discuss lens design advantages or why a shorter or longer flange distance is better. You've completely made up this strawman argument. Read the article again and then make points addressing mine. In several of your comments, you discuss lens design, optical design, and flange distance advantages as if I made points around that. Stop making stuff up and using it as a means to argue against me. I discuss lens line-up, not design. >> SAL50F14 is an A mount lens why would you even bring that up?? Because you didn't ask the right question. The correct comparison would have been the Sony vs the Otus. They're the same quality - much better than the Canon - and the same aperture. And the Sony is lighter (700g to +1kg) and half the price, because not having to work around a mirror box allows a cleaner designer. They're both super-high resolution designs intended to let +40MP sensors compete with medium format; comparing them to a much lower resolution walk-around lens like the f1.2 is something only a person who doesn't understand what he is talking about would do. Building lenses for high sensor resolution is expensive in terms of cost and weight. ..To brutally hammer home to you how silly your comparison is, look at the dxo tests for these lenses. The Canon only achieves an effective 21MP on a 50MP sensor! The Planar gets 41MP of resolution - yes, ***double***. You simply can't compare them - you have to compare Planar to a DSLR lens in its own resolution class. 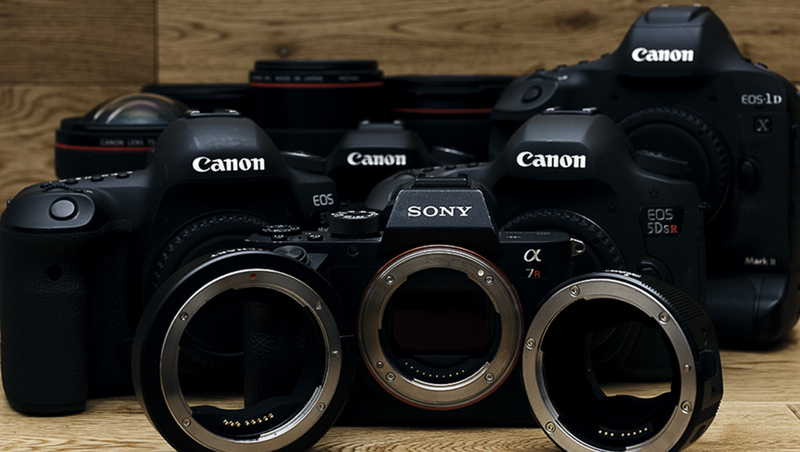 >> I discuss lens line-up, not design. Yes, that's the problem. You can't intelligently discuss a lens line-up or camera mount without understanding at least very basic optical design issues. You don't. You haven't even considered something as basic as the fact that every SLR lens wider than 35mm needs to be a retrofocus design. Which adds enough complexity to a prime but is much worse when you try to build a wide-to-tele zoom. You've made it clear that you don't even understand that different lenses have different resolutions and building for higher resolution adds weight and cost. So why on earth did you think you could write this article? Bizarre. The goal posts have been moved lol. I guess you just want to sit in your corner and argue points that you make up yourself. Canon 24-70 vs Sony 24-70 :-p thought I’d just throw that in hee hee. Also I just properly read your points about the Sony and the Otus. You've cherry picked points to serve your arguments. A few things to consider when comparing the weight and size difference. The Otus is much better for vignetting, it has a much better T Stop, and better for CA. All of these things generally require more glass and a bigger front element which the Otus does. You can't simply attribute the extra wight to having to work around the mirrorbox, the Otus actually gathers noticeably more light. In regards to image quality the Sony is much softer in the corners wide open in comparison and the Otus is sharp edge to edge wide open. The Otus is a better lens overall all of this information can be gathered from DXOmark. Do you need to brush up on your understanding when it comes to lens design? >> You've cherry picked points to serve your arguments. Now you are being a hypocrite. No, you were the one who chose the f1.4 Planar. I compared it to the only other lens - or at least the most obvious - in the same resolution class. So the only person who could possibly be cherrypicking is you. I can hardly be cherrypicking for providing the only possible like-for-like lens for the Sony lens you selected, hmm? Again, why the hell do you think the rest of the world needs to be told what to do by you on a subject you know nothing about? Vignetting is kind of like 2 thirds of a stop better. It's not "somewhat" at all lol there's a big difference. That's why the Sony has a 72mm filter thread and the Otus has 77mm. Bigger front element, which of course increases the weight. T stop is almost 2 thirds of a stop better. That's not a small difference at all. Where are you getting the 7% from are you sure you're looking at the right lens? Also you made no points about edge to edge sharpness. The Sony is not on that level. You talked about Aperture being a trade off and I pointed out how actually that's not always the case I didn't cherry pick I directly addressed your point. You brought the otus into the mix and I pointed out how actually that's not a good comparison for a number of reasons. I then also offered another lens the 24-70 which you didn't discuss at all. You seem to enjoy telling me what I should and shouldn't do. You make a bunch of sweeping statements which don't actually ring true in the real world.That doesn't sound like someone who knows what they're talking about. I completely agree about the size I really don’t understand the appeal cause it just makes things more difficult. Like you mentioned about your lenses and their weight, you can’t make high performing lenses much smaller or lighter anyway so your left with an imbalance. Also about video, it’s here to stay and only going to get better :-). The removal of the mirror and viewfinder leaves more space for IBIS, processors, more efficient thermal management, etc. So you can stuff more in the same body, or make it smaller. The lens size won't change much though (see the FE lens). The mirrorless also remove the need to have two different AF systems (one for liveview direct to the sensor and one in traditional viewfinder/mirror down). AF on DSLR is a delicate thing and you have to manage back /front focus adjustement and variation between lenses whereas mirrorless is more nominal (what you see is what you get on the AF). On the pro side for DSLR is the direct link between the subject and viewfinder, no lag, no low light issue, etc. Even though this point is not very relevant with the lastest generation of mirrorless cameras. Mirrorless also need more power compared to traditional DSLR. Finally, having a mirror in front of the sensor helps to protect against sensor dust. Mirrorless camera tend to get dirty much faster (but again, you can swab your sensor). Mirrorless camera's are expensive, Fuji XT-20 + 35mm 1.4 = $1298 , Nikon D5600 + 35MM1.8dx =$843 . You're comparing an 1.4 vs 1.8 lens. 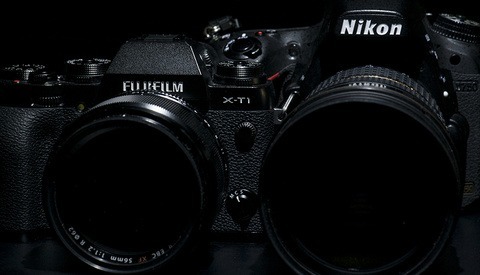 I'm not into fuji x, but surely this is the pro grade lens. Yes. The 1.4 is as good or better than Canon L.
The compact lenses argument for mirrorless isn’t true at all and the weight imbalance you discuss is very apparent for Sony. Consider the 85mm f1.4 for both systems, the canon lens is only slightly heavier with IS and is actually smaller than the GM version. The 24-70 from canon is noticeably lighter than the Sony version and dimensions are very similar. 70-200 from Sony is actually slightly bigger than the canon with almost exactly the same weight. Canon also have pancake lenses like the 40mm and their 50mm f1.4 is much smaller and lighter. Developing fast aperture lenses require them to be bigger and this is something no manufacturer can get past. Also every new lenses that canon will have to make for their new system will undoubtably cost more and provide basically the same performance so why not skip the fuss? The comparison you're making is totally off, it surprises me coming from an editor who, at least, should be a bit educated. Lens designs benefit from the reduced flange distance at focal lengths of aprox the flange distance. So, lenses on the >40mm focal length are about the same weight and size and differences in those kinds of lenses are a matter of tradeoffs given same skills of the engineers. I can give you an example: Sony 12-24G vs Canon 11-24L. No size benefit? No weight saving? You might say, Sony engineers were inspired. Zeiss Loxia 21 2.8 vs Zeiss milvus 21 2.8. And then you compare the Canon 50mm 1.4 vs the Sony Zeiss 50 1.4. It's like comparing a Chevrolet Corvette C4 of 1993 with the top of the line Corvette 2016 C7. If you don't get it I'll put it plain and simple: the canon 50mm 1.4 was marketed on 1993 and is screaming for a replacement. 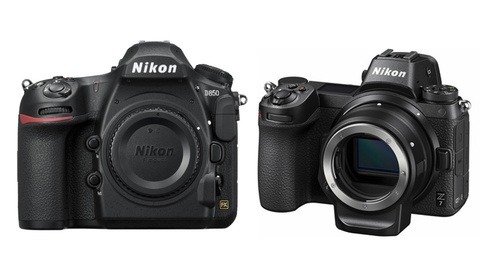 The only thing missing in the mirrorless lineup are supertelephotos. And mirrorless mounts allow more space for super wide, wide and normal lens designs. Like the before mentioned lenses or the 55 1.8 which design is impossible on a DSLR mount. Even the Sony 85 1.8 last element sits so close to the sensor that its design would be impossible on a dslr mount. After 85mm the flange distance advantage vanishes. You just picked the lenses you needed tovalidate your own beliefs. GM lenses are aiming to get a good bokeh, sharpness, contrast and very good optical correction. That's why they're made bigger but you can have a very good pro-grade system with a big saving in size and weight vs the Canon counterpart. Most common lenses used are 24-70, 85mm and 70-200. That's why I picked them. You're comparing niche lenses which are also different focal lengths too. 11mm vs 12mm is a noticeable amount Also the canon is a significantly better lens, I can use your own car analogy here. You can't make pro grade lenses much smaller you still need to capture the same amount of light relative to the fstop for the larger sensor. The sensor size is what ultimately limits how small you can make the lens. 11 and 12 give 4.5° of difference in field of view. It's like going from 18 to 19 is 3.1° and from 19 to 20mm 2,9°. So, they're different, but they're comparable. Take the sigma 12-24 f4 if you want to. I'll give you the real differences and a link to lensrentals blog, where Roger Cicala does a MTF comparison. Lastly the link to the comparison/review of the MTF's to show you that the canon isn't better than the sony, it's actually a tiny bit worse. But we will give it like a tie because it goes to 11mm. It seems you've really latched on to one bit of information and you're using that to determine your points. You do realize I pointed out 3 extremely popular lenses and you're sticking to discussing one niche lens. Full frame sensors require full frame size glass. The comparison I have in mind here comes from the medium format world where flange distance is something of a flexible thing. It is commonly accepted that if you want a really sharp wide you get a tech cam which has no mirror box. Even modern phase lenses can't touch what's possible on a tech cam even with the same digital back. For wides on a tech cam you do not use bellows because the lenses are designed with very little sensor to lens distance in mind because apparently that is optimal engineering wise. >> It seems you've really latched on to one bit of information and you're using that to determine your points. It's called "using facts". You haven't used a single one.